ToDoList 7.2.0.0 Portable » TopFreeSoft.Net - Best Freeware Software! 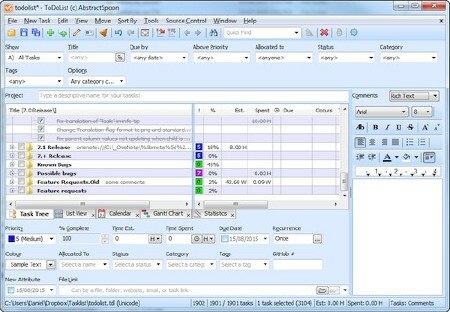 Created lists can be exported to a variety of formats including HTML, ICS (calendar), speadsheet, and more. Supports remote todolists and encryption for security.